We are sorry but the free pattern time frame has expired. The Polkadot Peplum Top sewing pattern by GYCT Designs is now available for purchase right HERE! This is adorable! She totally looks like a sweet, little Minnie Mouse! I’m not a strong seamstress, but I am definitely going to try to make this for my baby girl. Thanks for the free pattern! You are very welcome!! It’s a pretty easy pattern too! Thanks for visiting! This is just darling. I am sharing this on Facebook, and tagging my daughter-in-law. My granddaughter would look adorable in this. I found you on Foodie Friday and am so glad that I did. Thanks for sharing it!! Happy sewing! Oh my goodness! 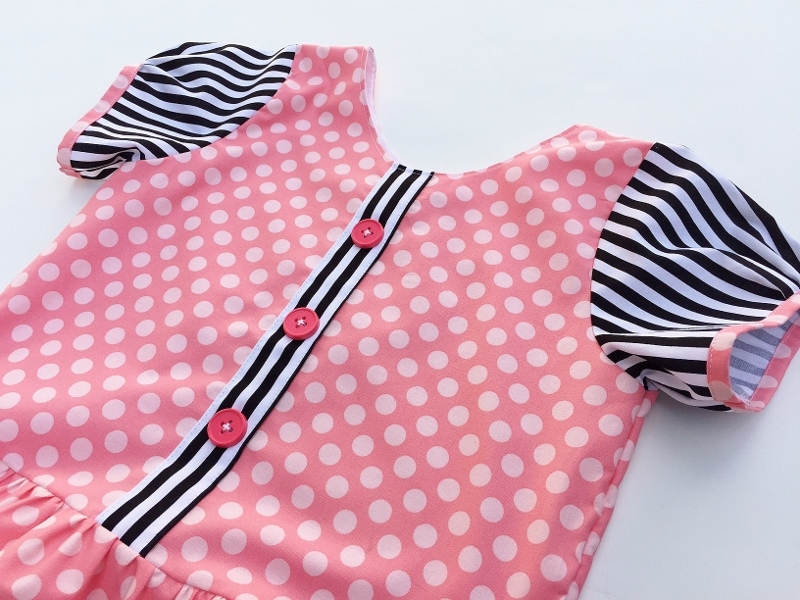 The Pink Polka dot Shirt is just darling! Thank you for sharing with Fiber Tuesdays!